Best known for portraying the Astromech Droid R2-D2 in Star Wars, The English actor Kenneth George “Kenny” Baker sadly died 13 August 2016. Baker was born 24 August 1934 and educated in Birmingham, West Midlands, and at boarding school in Kent. Although Baker stood 3 ft 8 in (112 cm) tall his parents were of average height. Originally he wanted to follow in his father’s footsteps and be an engraver, but had not received sufficient education. He went to live with his stepmother in Hastings, Sussex and in 1951 was approached on the street by a lady who invited him to join a theatrical troupe of dwarves and midgets. This was his first taste of show business. Later, he joined a circus for a brief time, learned to ice-skate and appeared in many ice shows. He had formed a successful comedy act called the Minitones with entertainer Jack Purvis when George Lucas hired him to be the man inside R2-D2 in Star Wars in 1977. Baker appears in seven Star Wars films and played an additional role in 1983’s Return of the Jedi as Paploo, the Ewok who steals an Imperial speeder bike. He was originally going to play Wicket, but he fell ill and that role was handed over to Warwick Davis. Kenny is featured on Justin Lee Collins’s “Bring Back Star Wars”. He revealed a feud between him and his co-star Anthony Daniels. He claimed Daniels had been rude to him on numerous occasions, and states that Daniels is rude to everyone, including fans. Baker’s other films include The Elephant Man, Time Bandits and Willow (alongside Jack Purvis), Flash Gordon, Amadeus and Jim Henson’s Labyrinth. On television, he appeared in the British medical drama Casualty. In the late 1990s, Baker launched a short stand up comedy career. Baker played harmonica with the James Coutts’ Scottish Dance Band at Hugh McCaig’s Silverstone Party in July 1997. In November 2009, his biography entitled From Tiny Acorns: The Kenny Baker Story was made available through his website and at conventions and book signings. It was written with Ken Mills. He has since reprised his role as R2-D2 in Star Wars Episode VII, The Force Awakens and He also had a part in the BBC production of “The Chronicles of Narnia”. Italian motor racing legend and entrepreneur, the founder of the Scuderia Ferrari Grand Prix motor racing team and Ferrari automobile marque Enzo Ferrari, sadly died 14 August 1988. He Was born February 18, 1898 in Modena, Italy. Ferrari grew up with little formal education but a strong desire to race cars. At the age of 10 and seeing 1908 Circuit di Bologna, he decided to become a racing Driver.During World War I he was assigned to the third Alpine Artillery division of the Italian Army. His father Alfredo, as well as his older brother, also named Alfredo, died in 1916 as a result of a widespread Italian flu outbreak. Ferrari became severely ill himself in the 1918 flu pandemic and was consequently discharged from Italian service. Upon returning home he found that the family firm had collapsed. Having no other job prospects, Ferrari eventually settled for a job at a smaller car company called CMN (Costruzioni Meccaniche Nazionali), redesigning used truck bodies into small passenger cars. He took up racing in 1919 on the CMN team, but had little initial success. The first open-wheel race was in Turin in 1948 and the first victory came later in the year in Lago di Garda. Ferrari participated in the Formula 1 World Championship since its introduction in 1950 but the first victory was not until the British Grand Prix of 1951. The first championship came in 1952–53, with Alberto Ascari. The company also sold production sports cars in order to finance the racing endeavours not only in Grands Prix but also in events such as the Mille Miglia and Le Mans. Ferrari’s decision to continue racing in the Mille Miglia brought the company new victories and greatly increased public recognition. However, increasing speeds, poor roads, and nonexistent crowd protection eventually spelled disaster for both the race and Ferrari. During the 1957 Mille Miglia, near the town of Guidizzolo, a 4.0-litre Ferrari 335S driven by the flamboyant Alfonso de Portago was traveling at 250 km/h when it blew a tire and crashed into the roadside crowd, killing de Portago, his co-driver, and nine spectators, including five children. 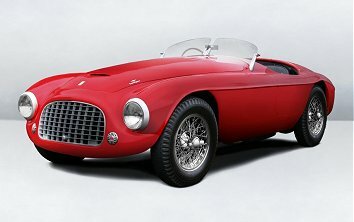 In response, Enzo Ferrari and Englebert, the tyre manufacturer, were charged with manslaughter in a lengthy criminal prosecution that was finally dismissed in 1961 .Many of the firm’s greatest victories came at Le Mans (14 victories, including six in a row 1960–65) and in Formula One during the 1950s and 1960s, with the successes of Juan-Manuel Fangio (1956), Mike Hawthorn (1958), Phil Hill (1961) and John Surtees (1964). In 1969 the problems of reduced demand and inadequate financing forced Ferrari to allow Fiat to take a stake in the company. 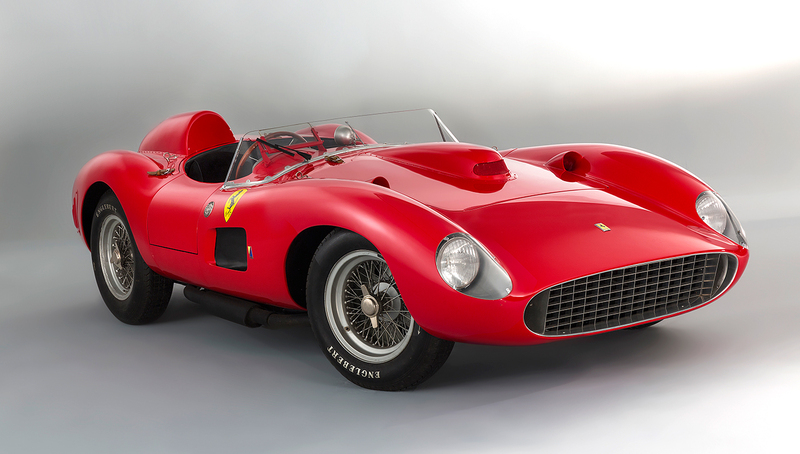 Ferrari had previously offered Ford the opportunity to buy the firm in 1963 for US$18 million but, late in negotiations, Ferrari withdrew once he realised that he would not have been able to retain control of the company sporting program. 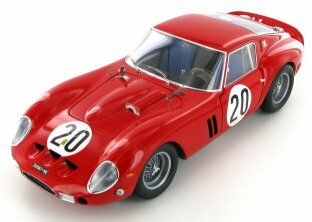 Ferrari became joint-stock and Fiat took a small share in 1965 and then in 1969 they increased their holding to 50% of the company. (In 1988 Fiat’s holding rose to 90%). In 1974 Ferrari nominated Luca Cordero di Montezemolo sporting director. Niki Lauda won the championship in 1975 and 1977. After those successes and another title for Jody Scheckter in 1979, the company’s Formula One championship hopes fell into the doldrums.1982 opened with a strong car, the 126C2, world-class drivers, and promising results in the early races. However, Gilles Villeneuve was killed in the 126C2 in May, and teammate Didier Pironi had his career cut short in a violent end over end flip on the misty back straight at Hockenheim in August. Pironi was leading the driver’s championship at the time; he would lose the lead as he sat out the remaining races. 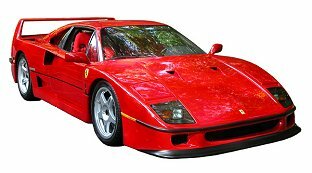 Ferrari remained chairman of the company until his death in 1988 but the team would not see championship glory again during his lifetime, However the Ferrari F40 was constructed the same year to celebrate forty years of Ferrari. Sadly Alfred Hitchcock passed away on 29th April 1980 although he has left a long lasting legacy in the form of some fantastic timeless classics including Rebecca, Notorious, Saboteur, Spellbound, Psycho, Rope, The Birds, North by Northwest, Marnie, Vertigo, Rear Window, The Man Who Knew Too Much and Frenzy. He also came first in a 2007 poll of film critics in Britain’s Daily Telegraph, which said of him: “Unquestionably the greatest filmmaker to emerge from these islands, Hitchcock did more than any director to shape modern cinema, which would be utterly different without him. His flair was for narrative, cruelly withholding crucial information (from his characters and from us) and engaging the emotions of the audience like no one else.” The magazine MovieMaker also described him as the most influential filmmaker of all time, and he is widely regarded as one of cinema’s most significant artists. Mark Collins, English guitarist and songwriter with the The Charlatans and The Waltones was born.14th August 1965. The original members of the Charlatans comprised of Tim Burgess (vocals), Mark Collins (guitar), Martin Blunt (bass), Tony Rogers (keyboards) and Jon Brookes (drums and percussion) most were located in the West Midlands, however many sources state that they formed in Northwich, Cheshire. This is because the band relocated to the home town of new lead singer Tim Burgess (who lived in Northwich) before the 1990 release of The Charlatans’ debut single “Indian Rope”, on the band’s own Dead Dead Good Records label. This means that, based on the definition of the hometown used by Guinness World Records, the band formed in Northwich and consequently, Northwich is recorded as the home town in such publications as British Hit Singles & Albums. The Charlatan’s debut single, “Indian Rope” proved an indie hit and the group soon found a major label, Beggars Banquet off-shoot Situation Two, in time for the release of “The Only One I Know” which reached the Top 10 in the UK Singles Chart. A further single, “Then”, and debut album Some Friendly, were released later that year. Around this time The Charlatans were forced to add UK to their name for an American tour due to competing claims by a 1960s rock band also known as The Charlatans. Sadly though With the band’s new found fame and success came numerous problems. Relationships within the band were deteriorating; there was friction in particular between the Stone brothers & Bass player Larry Graham. After moving to the Los Angeles area in fall 1969, Stone and his bandmates became heavy users of illegal drugs, As the members became increasingly focused on drug use and partying (Stone carried a violin case filled with illegal drugs wherever he went), recording slowed significantly. Between summer 1969 and fall 1971, the band released only one single, which was one of the first recordings to employ the heavy, funky beats that would be featured in the funk music of the following decade. It showcased Graham’s innovative percussive playing technique of bass “slapping”. During this time Stone’s behavior became increasingly erratic. New material was anticipated in 1970, but with none forthcoming, a Greatest Hits album was released that November. One year later, the band’s fifth album, There’s a Riot Goin’ On, was released. Riot featured a much darker sound as most tracks were recorded with overdubbing as opposed to The Family Stone all playing at the same time as they had done previously. Stone played most of the parts himself and performed more of the lead vocals than usual. It was also the first major label album to feature a drum machine. The band’s cohesion slowly began to erode, and its sales and popularity began to decline as well. Live bookings for Sly & the Family Stone had also steadily dropped since 1970. The final straw came In January 1975, after the band booked itself at Radio City Music Hall. The famed music hall was only one-eighth occupied, and Stone and company had to scrape together money to return home, Following the Radio City engagement, the band was dissolved. In 2007 Stone made a short guest appearance at a show of The New Family Stone band he supports at the House of Blues. On April 1, 2007, Stone appeared with the Family Stone at the Flamingo Las Vegas Showroom, after George Wallace’s standup act. On July 7, 2007 Stone also made a short appearance with the Family Stone at the San Jose, CA Summerfest. On Labor Day, September 7, 2009, Stone emerged at the 20th annual African Festival of the Arts in Chicago, Ill. He performed a 15 minute set during George Clinton’s Performance. He performed his popular hits along with George Clinton’s band. He left immediately after his short performance. On December 6, 2009, Sly signed a new recording contract with the LA based Cleopatra Records and on August 16, 2011, I’m Back! Family & Friends was released, the first Sly Stone album since 1982′s Ain’t But the One Way. The album features re-recorded versions of Sly & the Family Stone’s greatest hits with guest appearances from Jeff Beck, Ray Manzarek, Bootsy Collins, Ann Wilson, Carmine Appice and Johnny Winter, as well as three previously unreleased songs. Disney’s classic fifth animated film Bambi was released 13 August 1942 in the United States. It concerns a recently born Fawn named Bambi who joins his new friends in the Springtime, a young rabbit named Thumper and a skunk kit named Flower who happily explore the woods. Bambi is also captivated with a Young doe named Faline, and also learns that his father is the Great Prince of the Forest. However as Bambi, Thumper and Flower grow up, they discover that besides the delights of the forest, there are also many mortal dangers lurking, particularly in open meadows where hunters can see them and this ends in tragedy for Bambi’s Mother. Although fear and tragedy touch Bambi’s life, he learns how to survive in the forest with the help of his friends Thumper and Flower and lives to see another spring, which brings renewal to the forest and gradually he grows up and mates with Faline, and they produce the next generation of fawns until he himself eventually takes his place as the Great Prince of the Forest like his Father before him.